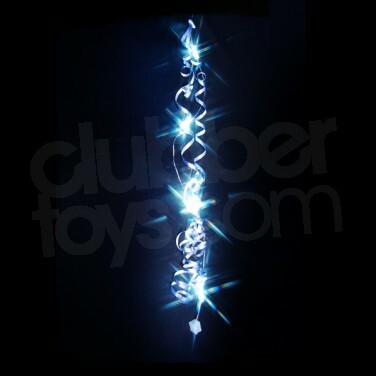 Sparkle ribbons feature long holographic ribbons, over 1.5m in length, and flashing and sparkling bright white LED lights. 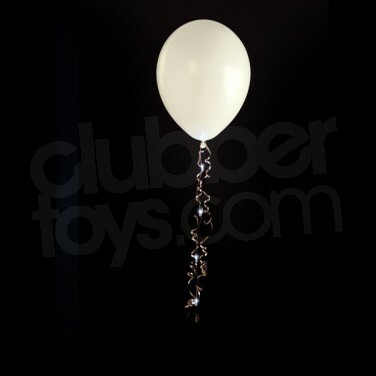 Clip one to your helium balloons with a simple butterfly clip, for an instant column of twinkling holographic ribbons and flashing LED lights. Each ribbon is weighted with a battery pack, to keep things hanging straight and the ribbons can be curled shorter or left at full length to suit your needs. You can even clip several together to extend the sparkly effect!